Ok, so not really, but I was on TV tonight!! The ESPN broadcast of day 1 main event came on at 8pm est tonight. 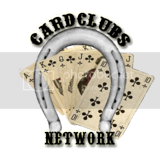 About 22 minutes in they show a hand with Annie Duke and Chris "Jesus" Ferguson. I was at the table directly behind them. At first you can only see my shirt in the top left hand corner of the screen, but shortly after the camera moves up a bit and you can see my face, and I think I`m moving chips in or something! I CANT BELIEVE IT! I feel like a kid again. I found this on youtube posted by some random person. Too funny. 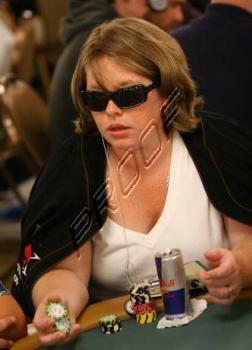 ok, i watched the youtube clip right up until Annie Duke hogged the focus. The resolution was a bit blurry. At first, I thought you were simply shuffling chips on the table; however, upon further review at super slo-mo, it appears that in actuality you are stacking cheeseburgers. OMG what does ELM do with you?!?!?! Anything she wants, and yes, there is usually begging involved.